A study group at Osaka University developed a neurofeedback system (Figure 1) which enables patients with Parkinson's disease to voluntarily control beta wave activity in their deep brain (STN, Figure 2) associated with symptoms of the disorder. 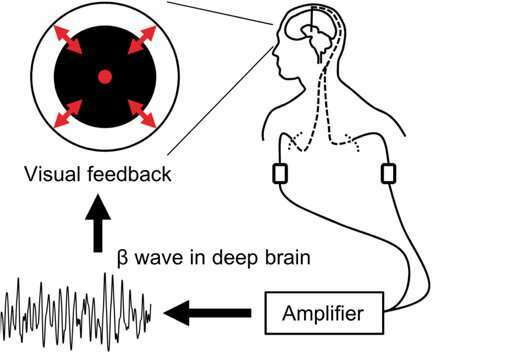 The group demonstrated that the patients can control these beta waves voluntary; however, it remains to be determined whether such a system can provide symptom relief. The group's research results were published in eNeuro. "In a study of eight patients undergoing a routine replacement of a pulse generator used for deep brain stimulation, we developed a method that could help scientists better understand the relationship between brain activity and disease symptoms," says senior author Haruhiko Kishima. In this study, the patients were trained to increase the size of a black circle that changes according to the participants' real-time beta wave activity. For half of the participants, the size of the black circle was positively correlated with beta wave intensity, and for other half of the participants, the circle was negatively correlated with beta wave intensity. After the 10 minutes of training, the study demonstrated that the patients' beta waves significantly increased or decreased depending on the circle condition. Using the real-time feedback system, the patients can voluntarily control their beta waves. 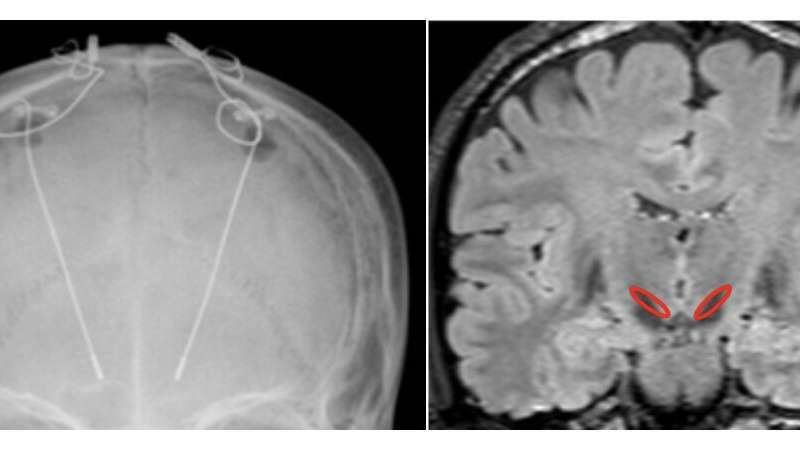 Corresponding author Takufumi Yanagisawa says, "Although we did not observe an improvement in patients' symptoms, our study represents a new approach toward managing disease-related brain activity that could lead to the development of new treatments."